From the moment you enter the sun-soaked space of the newly opened Raw + Juicy Life, you get the feeling that you’ve entered a cozy Brooklyn studio apartment. 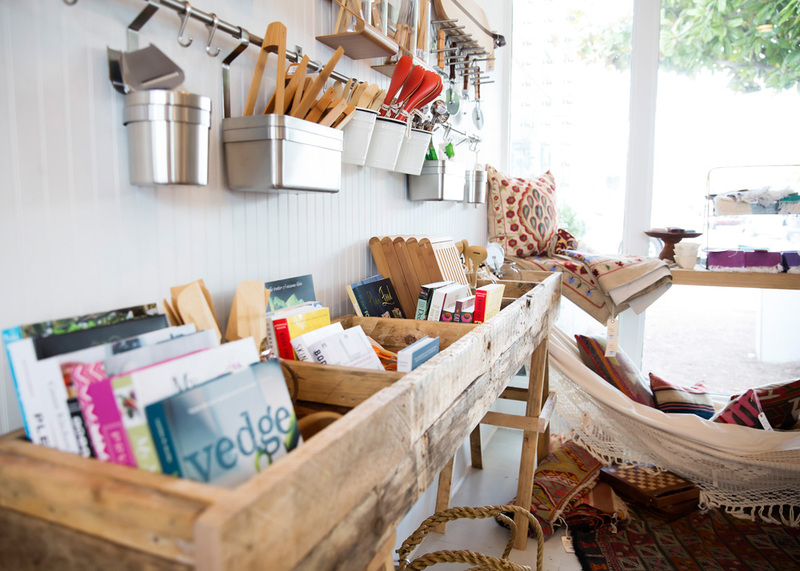 Just as the Point Washington home of owner Jenifer Kuntz (showcased in VIE’s September/October 2013 story “A Force of Nature”) reflects her spirit, Raw + Juicy Life in Seaside, Florida, is also an extension of Kuntz’s everyday life. 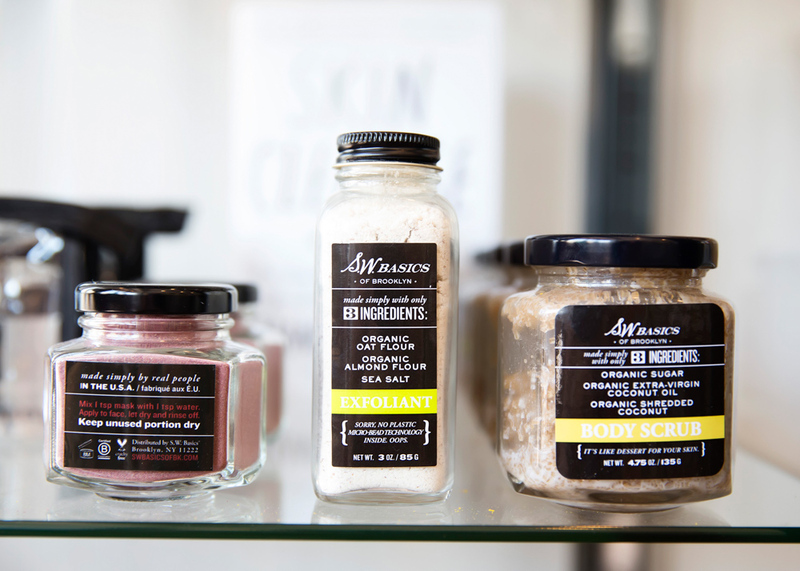 It’s a beautiful hybrid of her company’s sought-after “tasty honest organics” with a thoughtfully curated mix of beach, beauty, gift, home, and garden options, all personally sourced by Kuntz. 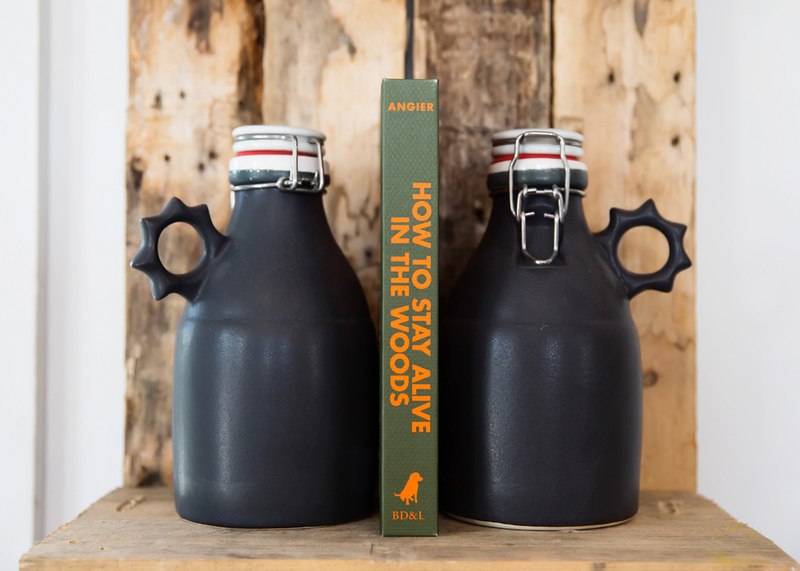 Launching a multifunctional lifestyle shop seemed like a natural next step for the creative and entrepreneurial-minded owner following the growth that Raw & Juicy—the area’s original organic juice bar and raw food café—has experienced since first opening its Airstream window for service in 2008. In the front of the store, you’ll find a large butcher-block cooler display stocked with Raw + Juicy Life’s latest selection of raw cakes, chocolates, and desserts, all artfully noted on the chalkboard menu with names such as “Coco Lime Cheesecake” and “Chocolate Mudslide Pie.” In a blind taste test, the average palate would likely never know that all of Raw + Juicy Life’s flavorful desserts are dairy-free, gluten-free, and prepared with no added sugars (proof to skeptics that healthy can taste good). 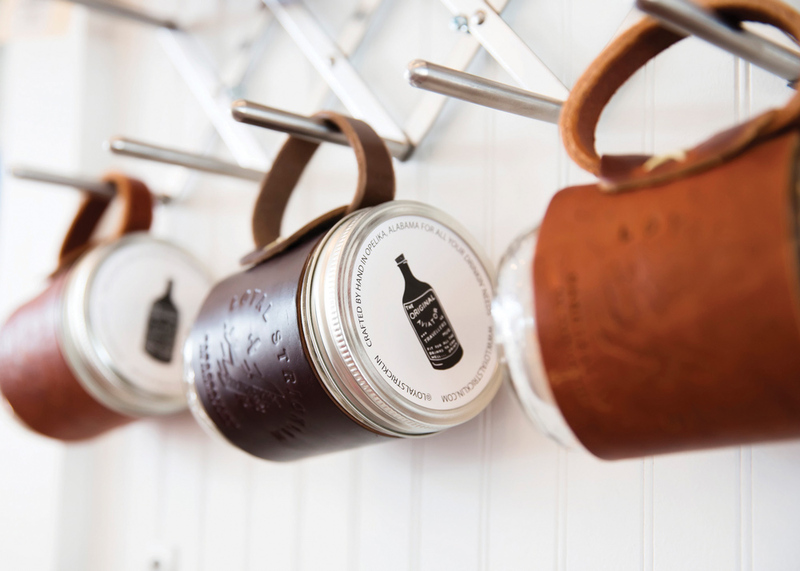 The cooler also shares space with a colorful selection of jarred house-made raw, organic fermented veggies as well as a batch of the beloved juice bar’s cold-pressed juices. 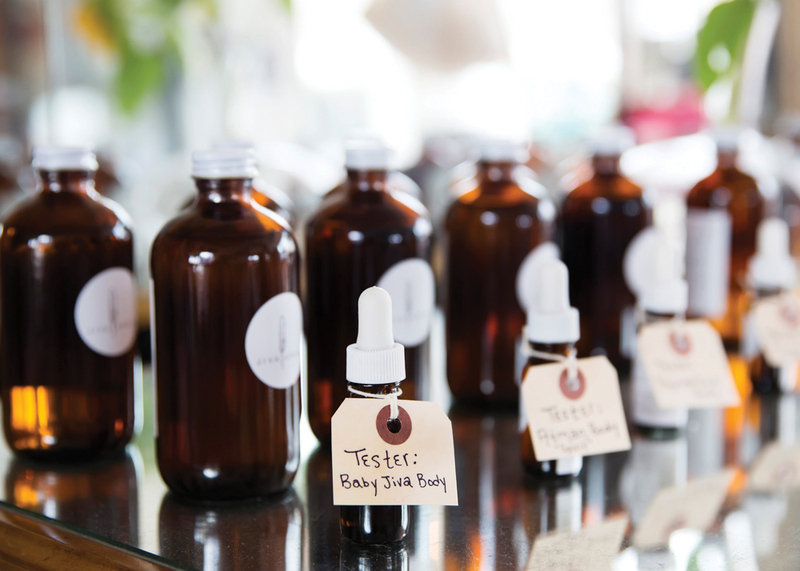 We’ve always strived to be an educator in the community for natural and organic living. Across the way is a refrigerated beverage cooler offering additional selections of cold-pressed juices, kombucha, coconut and aloe waters, and organic wines, sake, and beer—all überconvenient for an afternoon at the beach. 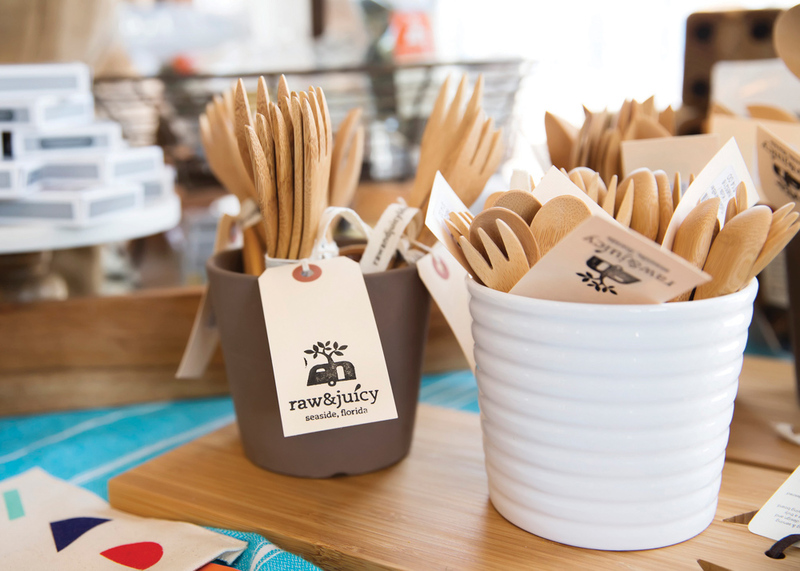 Wooden corner shelves are stocked with Raw & Juicy’s signature grab-and-go snacks, ranging from granola and kale chips to macaroons and dried mangoes, and an ever-rotating selection of artisanal products, including some local Seaside Farmers Market finds (a suitable display of support as Kuntz is the market’s founder). In the adjacent room, there are antique cabinets and plant-adorned window displays full of delightful treasures from all over the United States as well as rare international finds from Mexico, Africa, India, and Turkey. 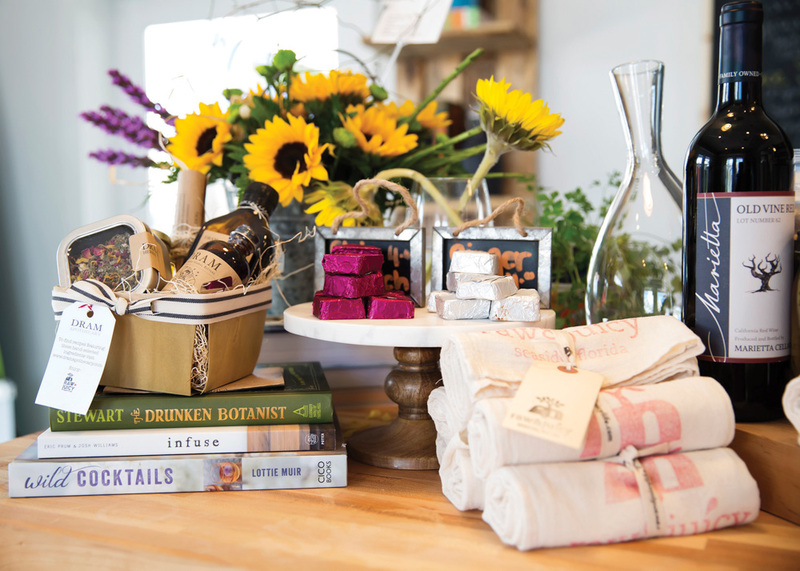 Seaside cofounder Daryl Davis—the sophisticated backbone of Seaside Associated Stores—was enthusiastically supportive of Kuntz creating a sister location to add to the New Urbanist town’s eclectic merchant mix. One mutual passion shared by Davis and Kuntz is a love for local food artisans and the desire to further educate the community about them. Kuntz first proposed the farmers market concept to Davis in 2008 (partly an attempt to attract people to the newly opened juice bar), and Davis loved the idea. From there, the production-savvy Kuntz rallied her team and started the Seaside Farmers Market, which they continue to manage. “Jen’s a natural-born entrepreneur with outstanding leadership skills. I have no doubt that Raw + Juicy Life will be a stunning success, much as both Raw & Juicy and the Seaside Farmers Market have been,” Davis says. 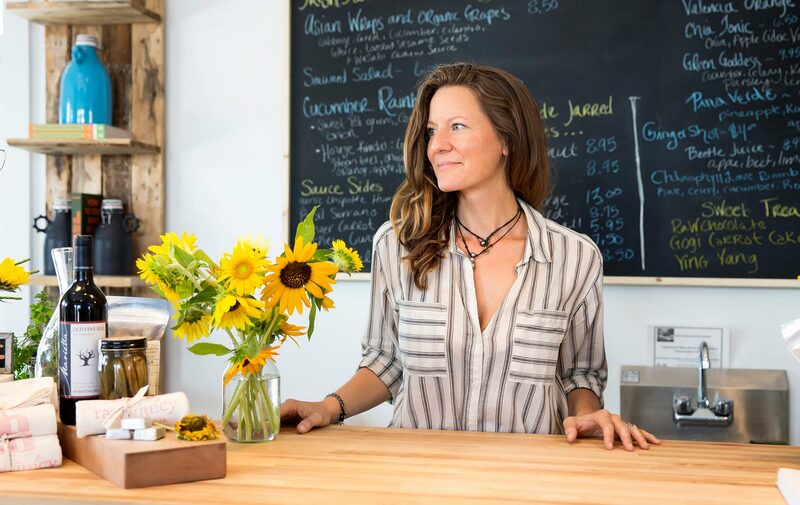 A former dancer and yoga instructor turned raw foods chef and certified Ayurvedic Consultant, Kuntz is committed to fostering the Slow Food movement on the Gulf Coast, and her personal touches are evident in the excellent quality, flavor, and fun she brings to her business. 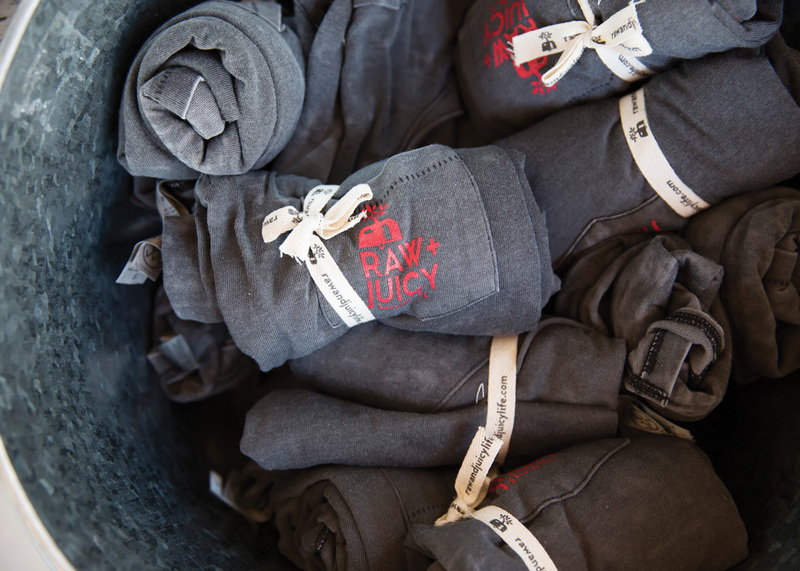 Raw & Juicy has been ranked among the top ten juice bars across the country by USA Today, and Kuntz has applied those same standards of excellence to Raw + Juicy Life. 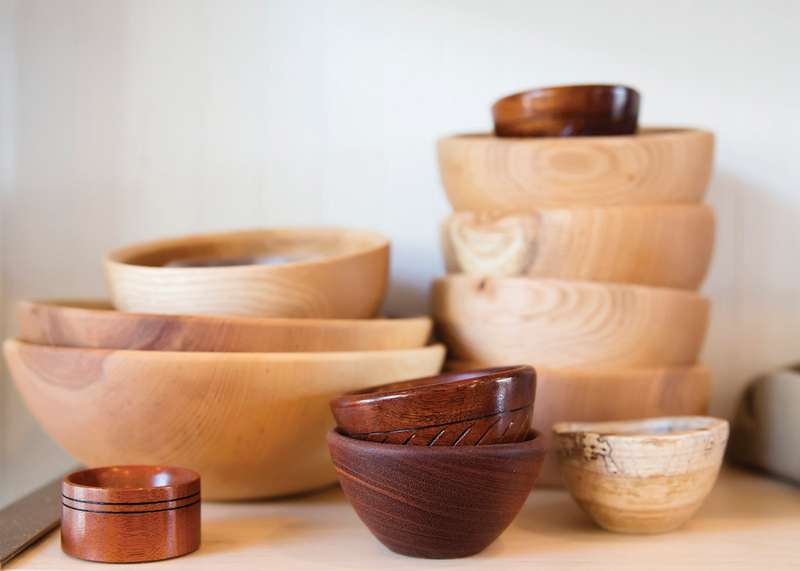 Also, many of the store’s ecofriendly vendors have charitable components to their business models—a practice that’s important to Kuntz and her team. 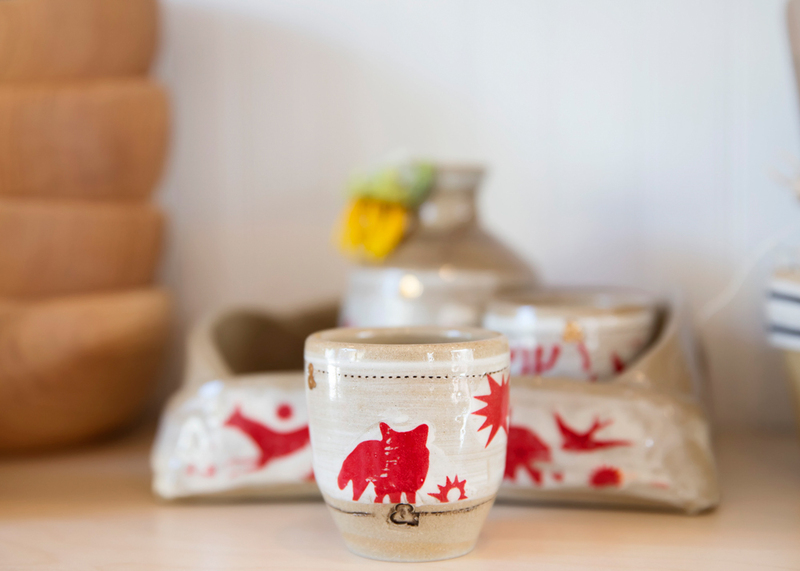 We’ve become good friends with many of the artisans we carry,” adds Kuntz. “They take great pride in how their products are made, and we do our best to honor that by sharing bits of their stories with our customers. 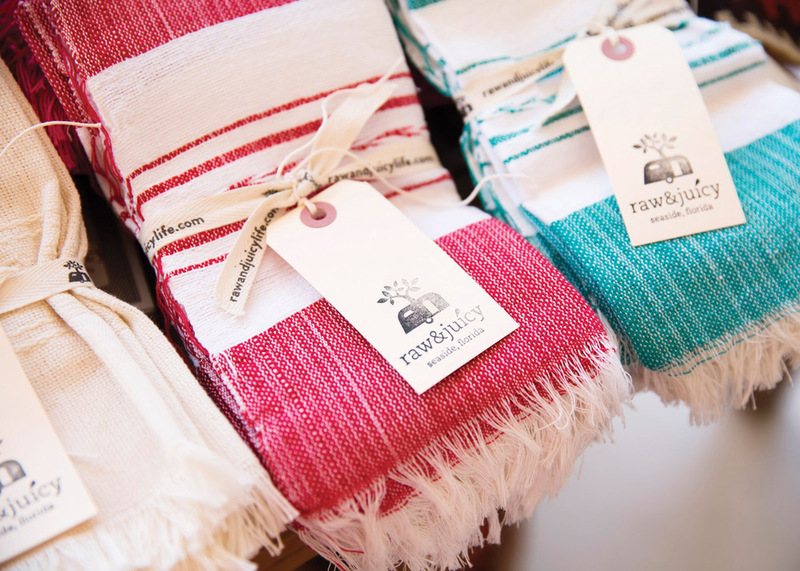 Some of the specialty products available at Raw + Juicy Life include beach towels from Convivial Cloth Co., handblown glass decanters by Nate Cotterman, Fredericks and Mae’s handcrafted bocce sets and kites, S’well’s line of reusable insulated water bottles, Kammok hammocks, Nakuru handbags from Kenya, Loyal Stricklin Aviator Mugs, handcrafted Shwood sunglasses, 100 percent natural Herbivore Botanicals, and many more. 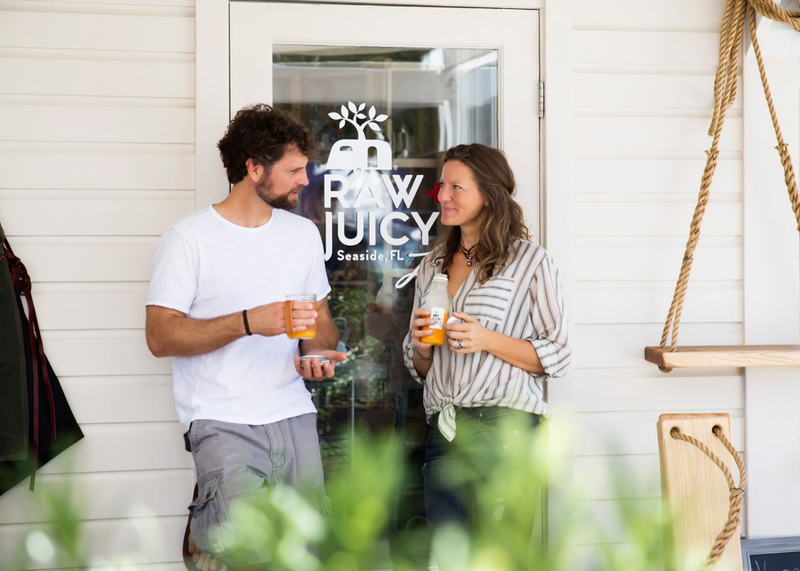 Raw + Juicy Life is located in Seaside on the south side of 30-A on the pathway to the Coleman Pavilion beach access, east of Bud & Alley’s Pizza Bar. 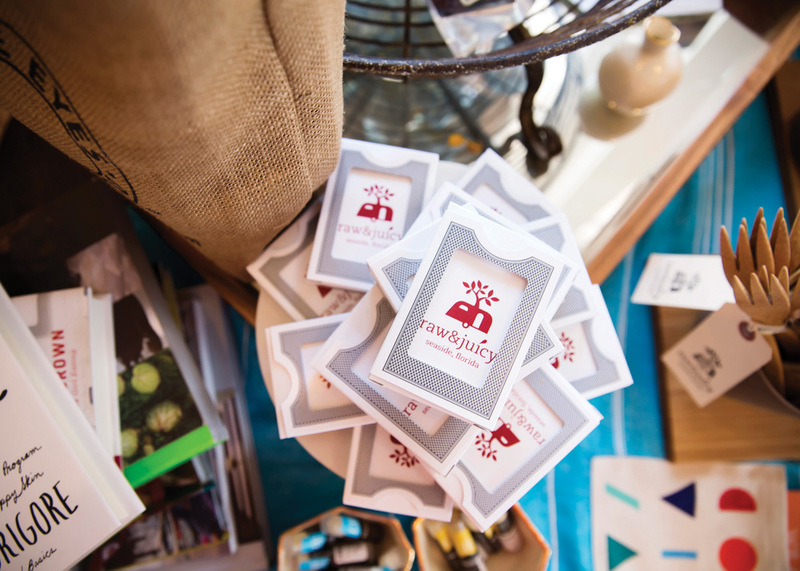 For more info, call (850) 231-5006 or visit rawandjuicylife.com.